Two Left - Morgan Stanley — Two Left Co.
Few are more passionate than Morgan Stanley about cultivating a truly "people first" culture. An international career brand for Morgan Stanley, focused on human-centric visuals. Diversity and inclusion were especially high priority while working with the Morgan Stanley marketing team. This project was designed for FZ Creative in partnership with Careerbuilder. 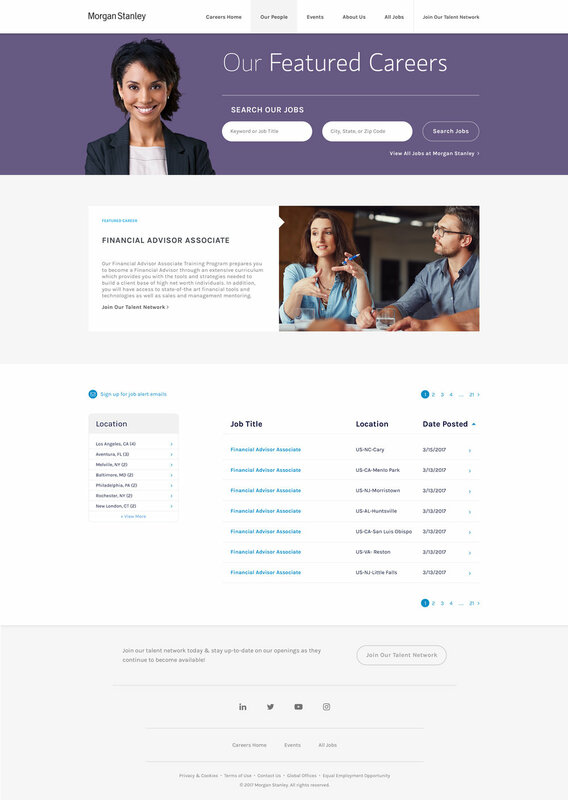 Development by Careerbuilder.